Gordon Ruth, FCPA, FCGA was previously the Executive Vice President of Certification and Operations for the Chartered Professional Accountants of BC. Mr. Ruth was also the Chief Executive Officer for the Certified General Accountants of BC for almost five years. He has held several positions in the public sector, ranging from the federal government to BC Hydro. 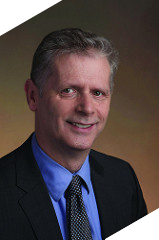 He spent 15 years with the Greater Vancouver Regional District (now Metro Vancouver) where he became the Chief Financial Officer and helped steward the financial affairs of this regional federation of municipalities.